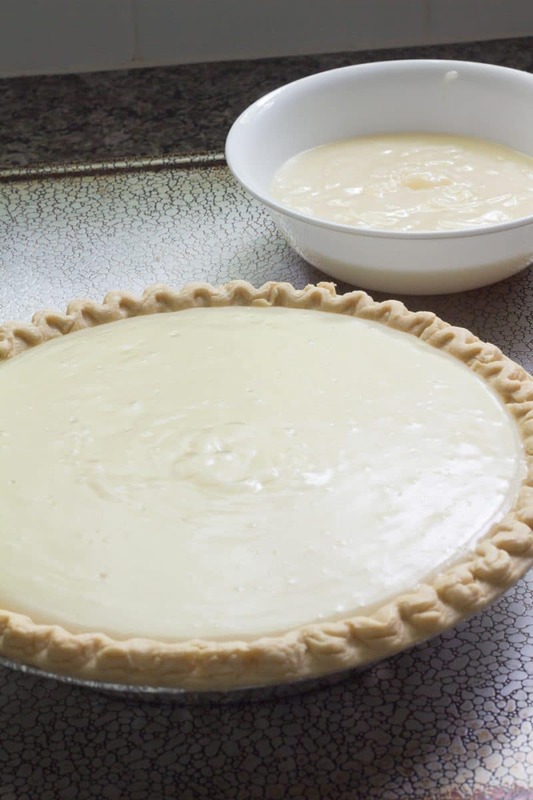 Vintage Sugar Cream Pie Recipe produces a creamy egg-free custard filling. Sugar Cream Pie is easy to make and delicious. This is perfect for beginners since it is sure to set-up. We call this one no-fail. WHAT IS SUGAR CREAM PIE? 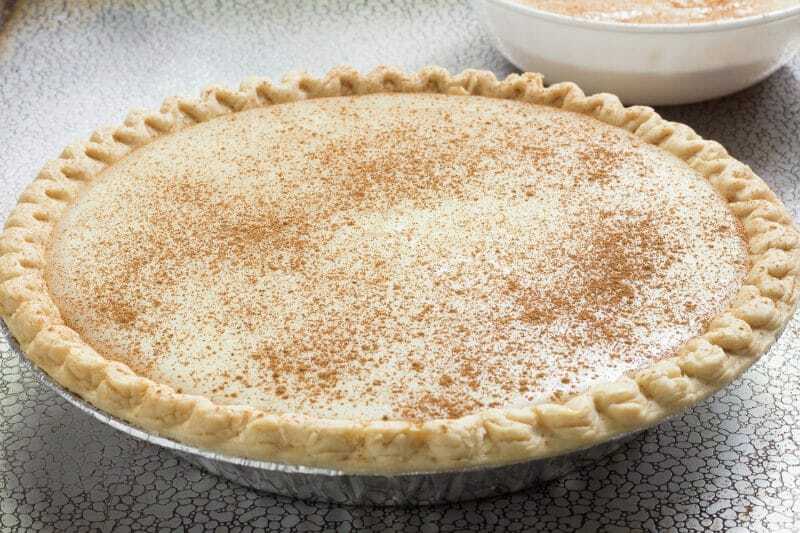 Sugar Cream Pie is truly a Hoosier region specialty. I had never heard of one until I met Andy. In case you missed the memo, both Andy and I started our lives in the Midwest. He was born in Indiana, I was born in Illinois. Even though Illinois and Indiana are so close to each other, this pie calls Indiana home, and most folks across the border have never heard of it. Same with buckeye balls, I never heard of those before Andy either. Not from Indiana, but close, Ohio. 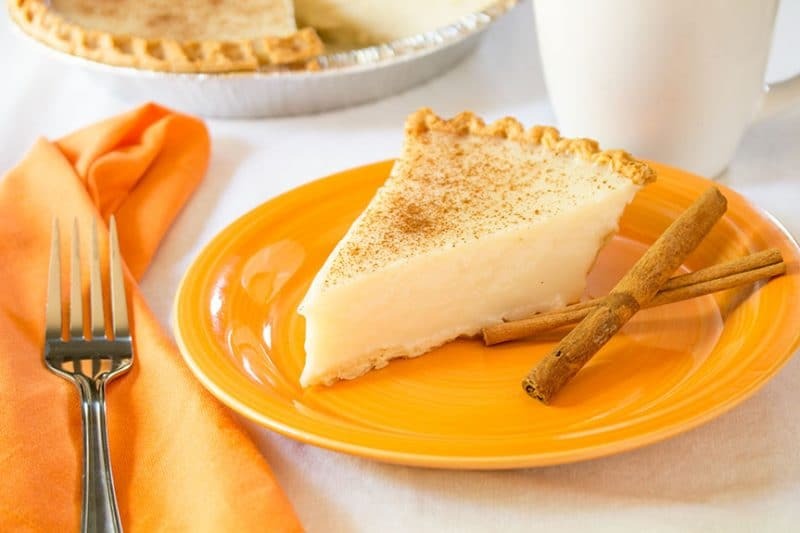 Sugar cream pie is a cream pie that has been made without eggs. It’s simply sugar, flour or cornstarch, butter, and some form of dairy. 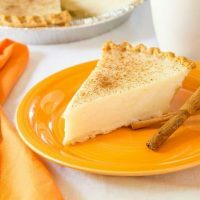 Sugar cream pie is made with a regular pastry crust. Nothing fancy here. I use a pre-made deep-dish pie crust for this recipe. Actually, I use them for all of my pie recipes. Pie crust is truly my kitchen demon! A deep dish pie crust is preferred. If you use a regular size pie crust, cut the filling portion by about 1/3 in the recipe. Or you could keep it the same and pour the extra into a bowl for later. That’s what I do with all my cream pie extras! Anytime I had tried a traditional sugar cream pie recipe, it had been runny. Now I use a cornstarch version I have played with over the years. This variation has not let me down in nearly 10 years. This one is a certified no-fail recipe by me! Are you listening to me beginning cooks? No-fail means beginner cooks should have no trouble with this one. Seasoned cooking veterans can turn this one up a notch by adding a homemade pie crust! The texture and flavor of this pie will have everyone believing it was harder to make than it really was. The whole milk called for in this pie is easily interchangeable. Whole milk, skim milk, half & half, almond milk, and soy milk have all been used successfully. You could even use heavy cream. I suspect the pie will be much too rich though. I use salted butter in all of my cooking and baking. If you choose to use unsalted butter, you will need add about 1/4 teaspoon of salt to the filling. 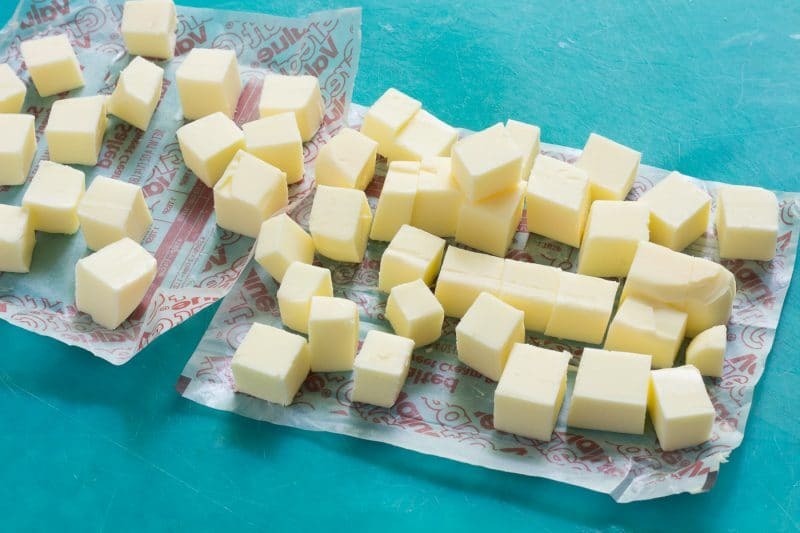 It is helpful to cut your butter into small cubes before attempting to add it to the cooking mixture. This will reduce the time you spend stirring to get all of the butter melted. 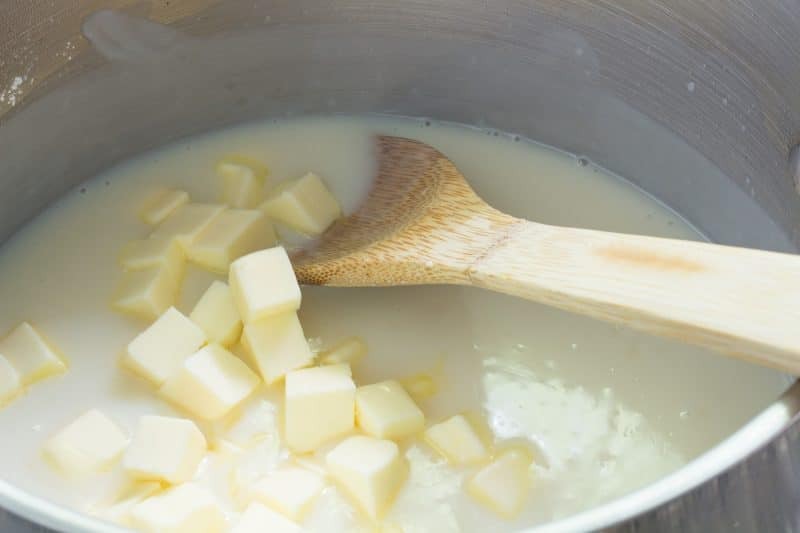 You will need to stir to incorporate the butter into the custard. You don’t want puddings of butter floating on top. This recipe uses regular granulated white sugar. Superfine white sugar could be substituted, only use a bit less. Superfine sugar has much smaller granules and adds more sweetness per cup than regular sugar. Do not attempt to use powdered sugar, it will not mix in very smoothly and will add too much cornstarch. I have tried substituting brown sugar for the white sugar and had minimal luck. It tasted almost like a butterscotch pie, but the texture was not smooth and silky like the original pie. After those findings, I have not attempted to use any other forms of sweeteners. Try those at your own risk. I cannot make any claims to the success or failures here. Many traditional Sugar Cream Pies are topped with nutmeg. We don’t care much for much nutmeg, so we use cinnamon. Feel free to use either interchangeably or none at all. 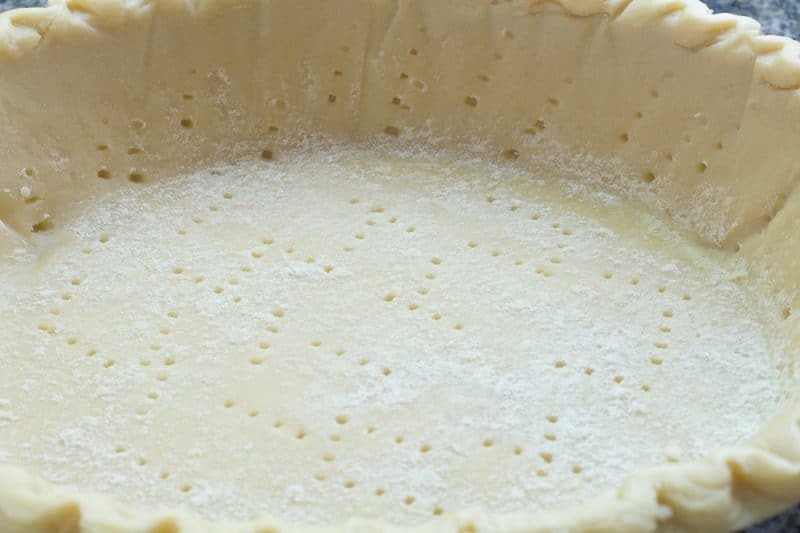 If using, do dust the pie with it before it has had a chance to form a skin on the surface so that it will stick. IS SUGAR CREAM PIE BAKED? 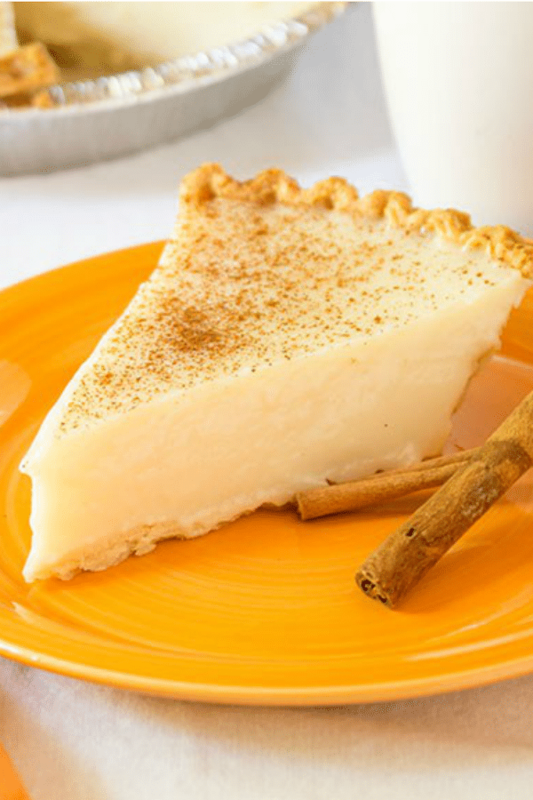 Just like the nutmeg, many traditional sugar cream pies are baked at the end. I think that is done to finish thickening the custard layer. Baking the pie at the end is optional in my sugar cream pie recipe. I don’t do it anymore. It will make the edges of the pie a bit chewier, if that is how you remember or want your pie to be, go ahead and give the pie a quick run through the oven. Make sure your filling is still hot though or you are just wasting electricity, the pie will not bubble or continue to cook. Rich and creamy, easy to make no-fail Sugar Cream Pie that sets up every time. 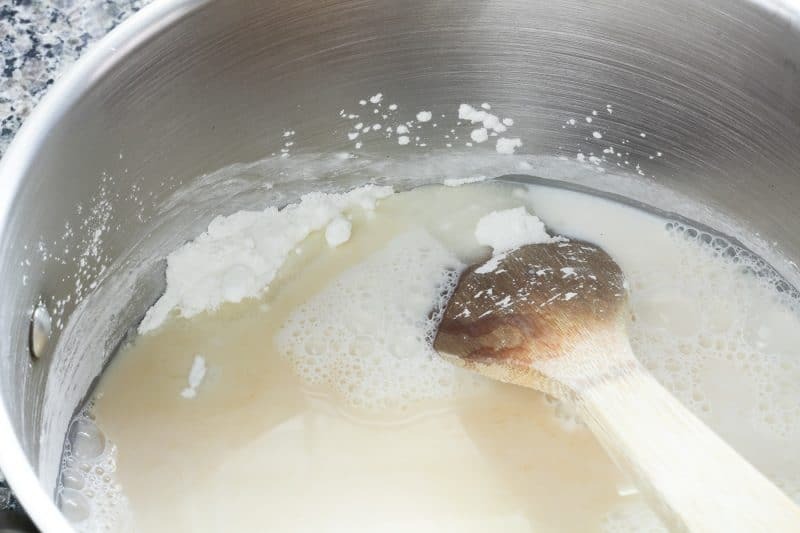 Mix milk, cornstarch, sugar and vanilla in a heavy saucepan. Whisk together until no lumps remain. Heat over medium low heat stirring constantly until thickened and bubbling. Add butter and stir until melted. Boil for another minute or so. There will be extra filling, pour it into a bowl for later, it makes a great pudding/custard. Bake for 8 to 10 minutes or until edges of filling are bubbly. Optional, sometimes I do, sometimes I don’t. Refrigerate until cold and set. Cut into pieces and serve. Total time includes 4 hour efrigeration time. Thanks for stopping by and letting us know how it turned out! Great idea adding whipped cream – going to try that next time I make it. I made this pie last week and topped it with homemade whipped cream when it was cooled.Easy and absolutely delicious, thank you. Hi Cindy! Thanks for stopping by and sharing! Sometimes I think we lived in a bubble in Kankakee! Cheers! So happy to see someone from my husband’s hometown visiting the blog! I’ll have to ask my in-laws about Mrs. Wicks. I hope you enjoy the pies! I’m so happy to find this recipe! I was born and raised in Richmond, Indiana. We always got our sugar cream pies from Mrs. Wicks in Winchester. I’ve moved across the country a few times and the holidays never seem complete without this pie. I’ll be making it for myself this year, baked with nutmeg and cinnamon! Thanks so much for sharing! Thanks for stopping by! So glad your family enjoyed this pie! I was looking for a “Chess Pie” recipe when I stumbled across this one. It was super easy, and turned out really well! The texture and flavor is really similar to these. Thanks! It’ll be a staple for us – everybody at our family gathering just loved it. This pie was a staple of farm wife’s in Ohio and Indiana. All ingredients were available as most had milk cows and the rest was staples. My Grandma used what we would call whipping cream for hers. She used nutmeg sprinkled on top . I would not use less than 2% milk but have used evaporated milk which turned out well. We could not wait for Christmas as she always made this pie for us. This recipe will work with skim milk. I have made it with 2% milk without any issues or changes to the texture. Hope you enjoy this pie as much as we do! Can this recipe be made with skim milk and turn out favorably?